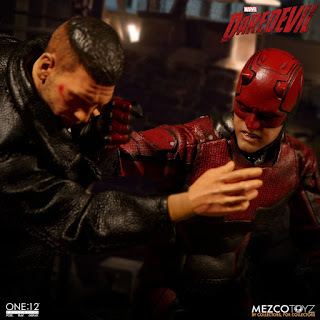 Mezco Toys has unveiled the next addition to their popular line of One:12 Collective action figures! 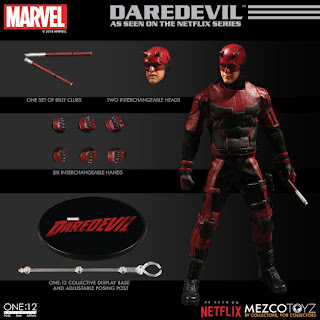 Based on his appearance in the hit Netflix series of the same name, Daredevil features interchangeable heads, connectable Billy Clubs, multiple points of articulation, and more! 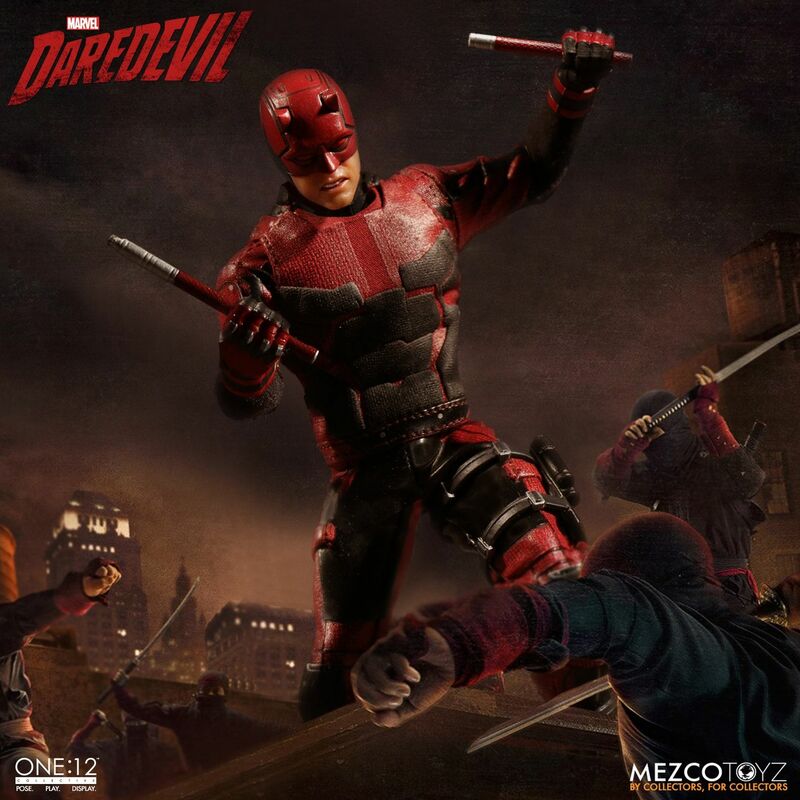 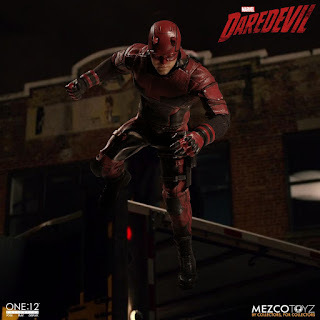 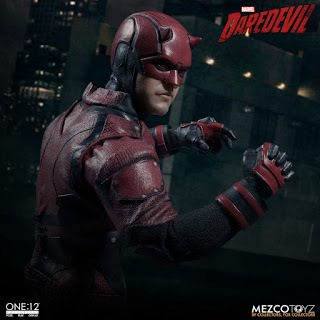 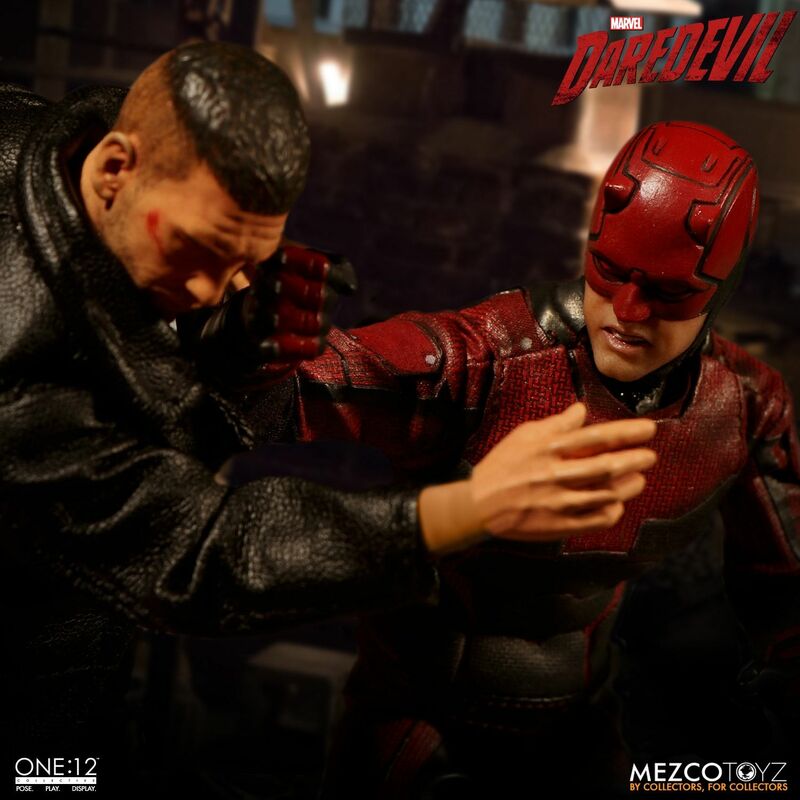 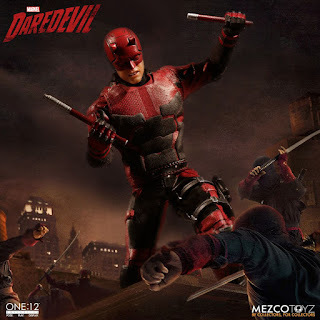 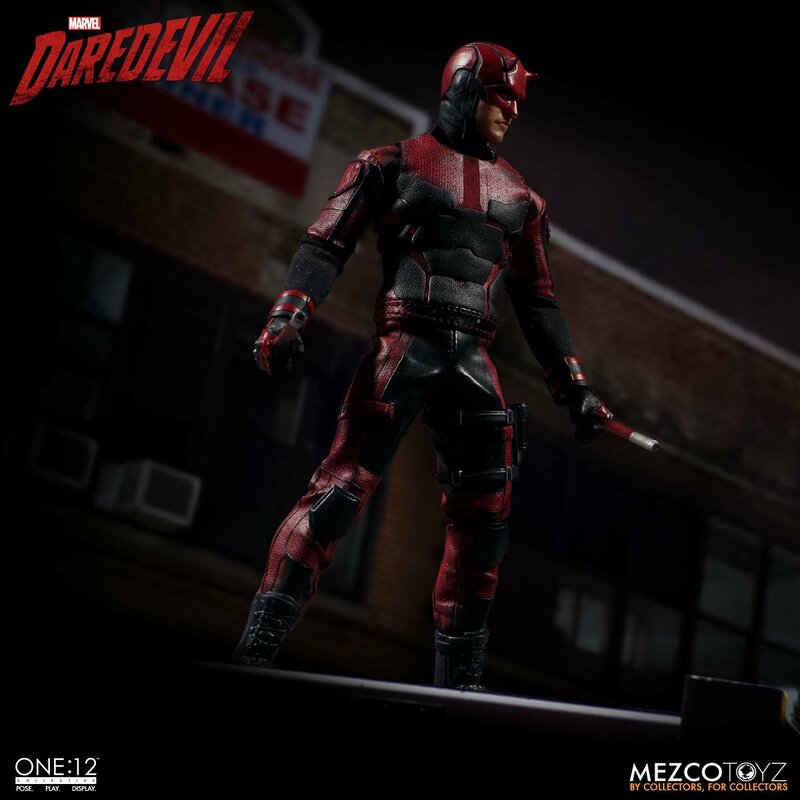 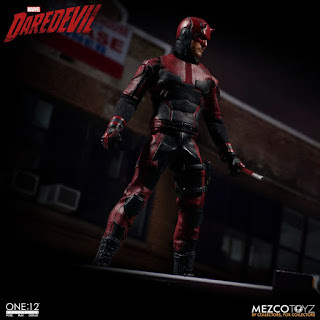 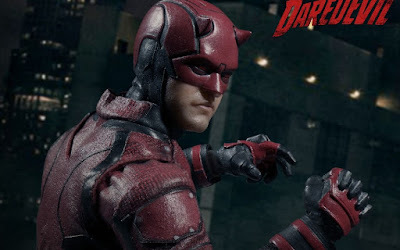 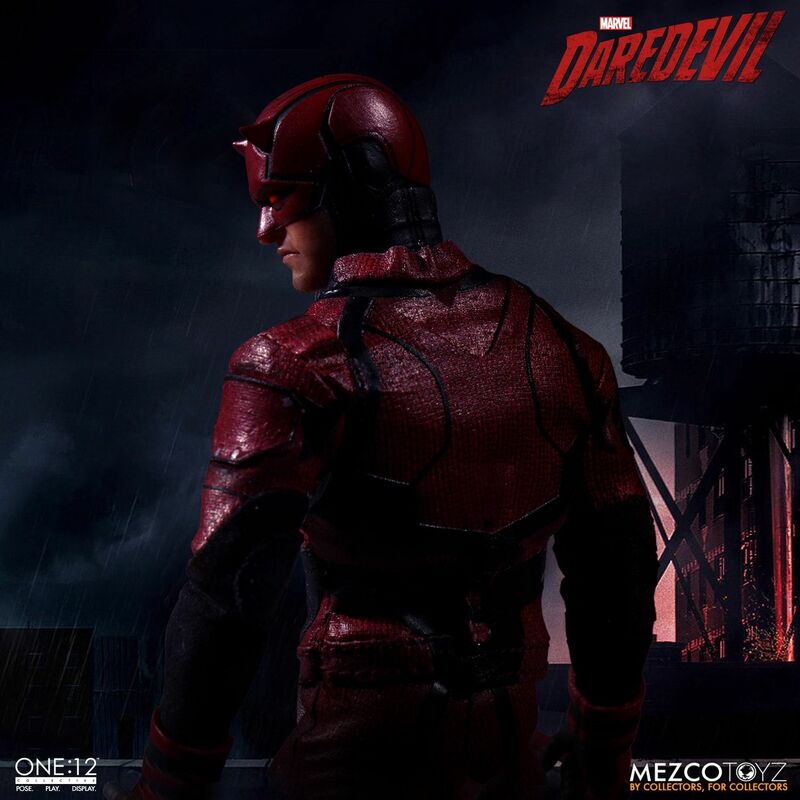 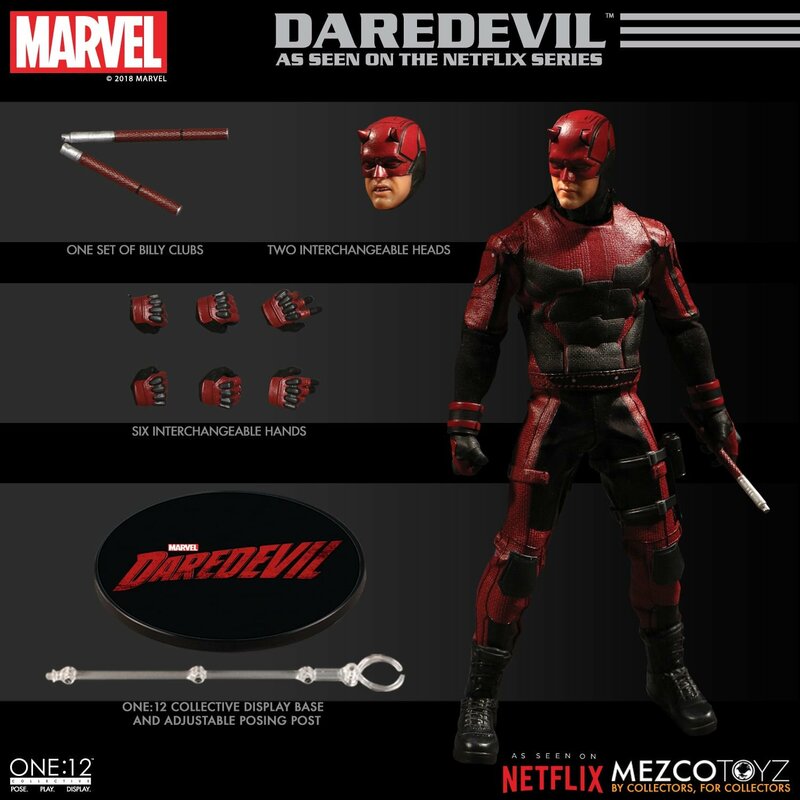 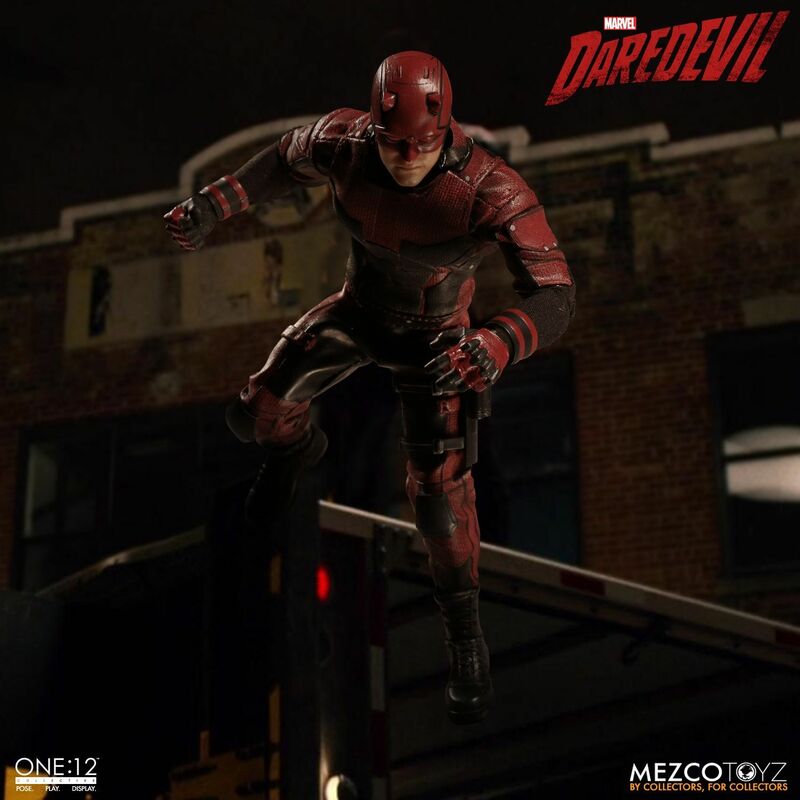 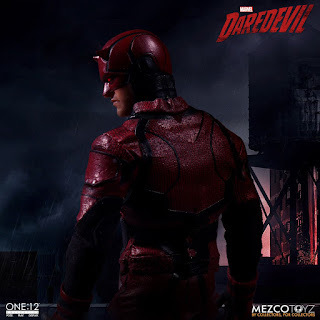 The Mezco Toyz One:12 Collective Netflix Daredevil figure is available for pre-order now, and is priced at $80. 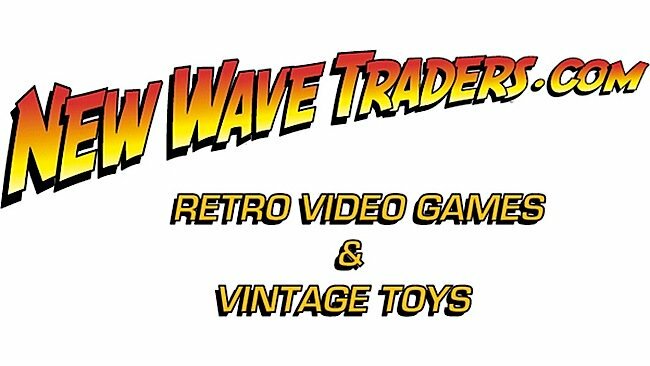 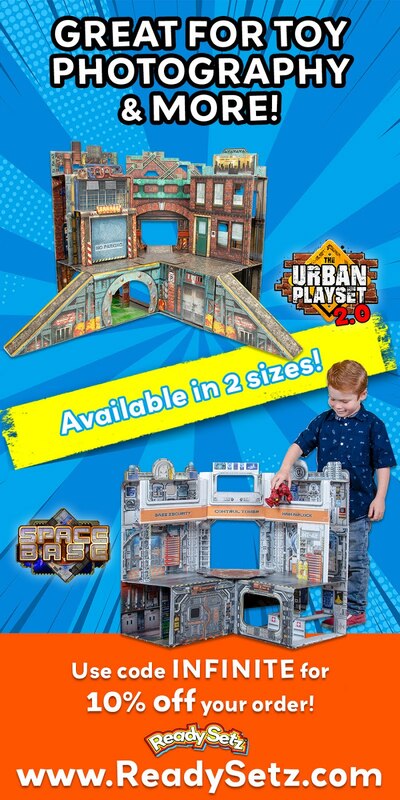 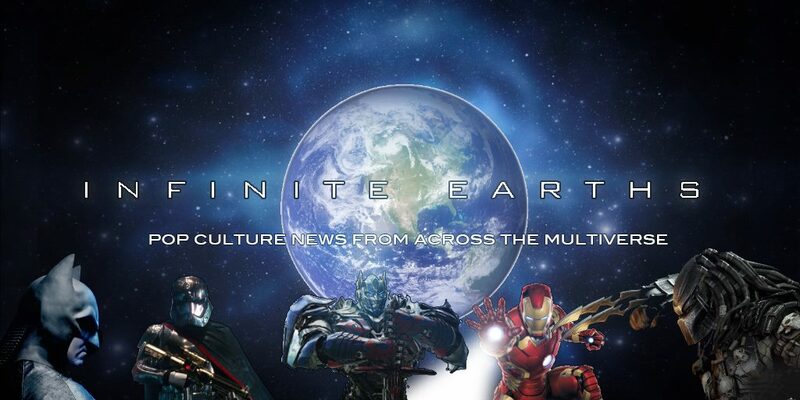 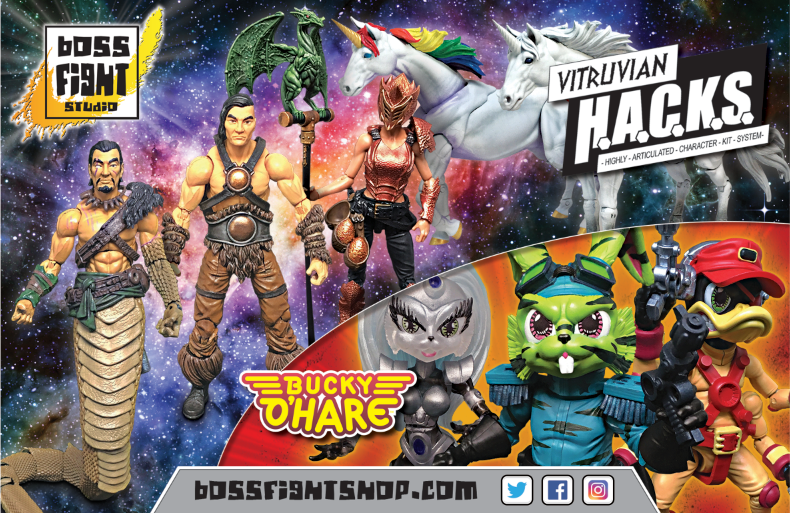 Look for it to arrive in the first quarter of 2019. 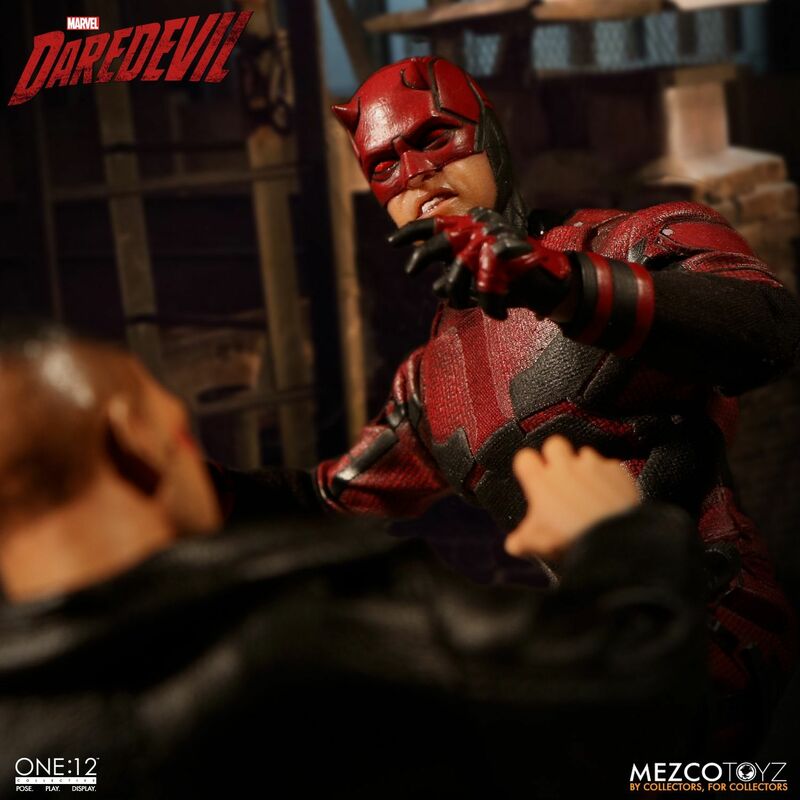 Will you be adding The Man Without Fear to your collection next year?